Welcome to our Physical Therapy Practice. 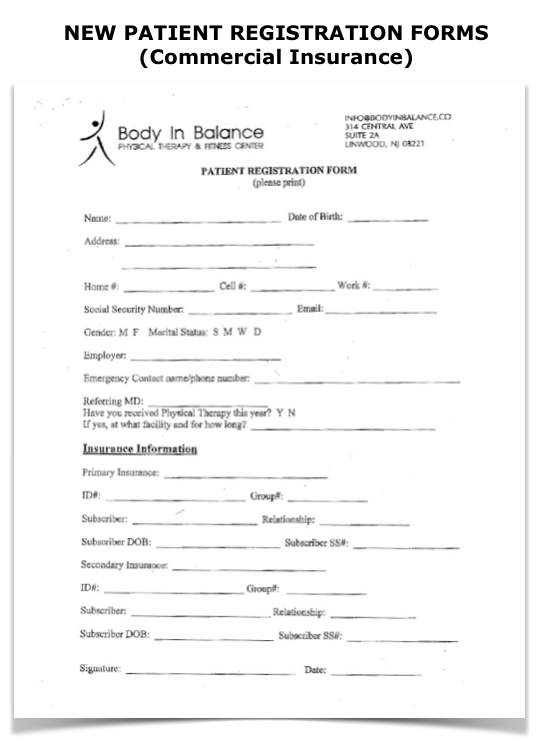 Before coming in for your first appointment, please download, print, and fill out the following forms from the comfort of your home. Click on the document below to download.